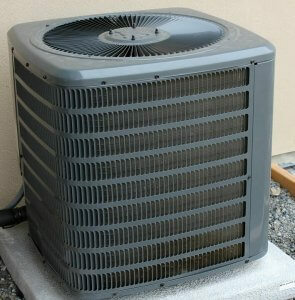 The air passing through your HVAC system runs through the equipment’s air filter before it circulates through your home. The filter captures pollutants that enter your home from the outdoors. This includes dust, dirt, mold, pet dander, and other allergens. The air filter traps these contaminants before they have the chance to circulate through your home, helping you maintain a healthy indoor air quality. 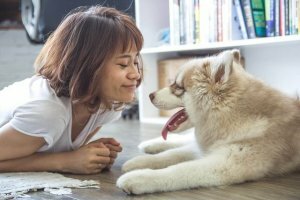 The air conditioning experts at ENERGY STAR recommend changing your air filter every three months at a minimum, but if you have pets, if there has been a dust storm, and during peak allergy season it will need to be changed more frequently. Our recommendation is to pick a date on your calendar to check the filter every month. If it looks dirty and full of debris, change it right away. Walk into a Target or Home Depot and you might be surprised by the number of filter choices available. It can be really tempting to just pick the cheapest one of the shelf, but we wouldn’t recommend it and here’s why: basic filters only catch a minimal amount of dust and do almost nothing to protect your home and family from allergens, bacteria, smoke, pet odors, and other particles. Many of them are also made of fiberglass (something we also recommend you avoid) which has a greater permeability than higher quality filters. Companies like Filtrete have come up with guides to help their customers determine what filter is best for their personal lifestyles and health concerns. You can breathe easy with our team at Twin Air in Manassas, VA , give us a call at 703-754-1062 or contact us on our website today.